Optomap image screenings provide a more accurate retinal image. Digitally capturing up to 85% of your retina’s image allows your eye specialist to detect certain eye diseases and other health issues. The optomap procedure eliminates the need for eye dilation, relying on the high-quality digital images of the retina for proper assessment. Optomap images are stored and added to your permanent eye medical record to track changes. Images of the front or insides of your eyes are also taken and saved for reference. Your optometrist will conduct a refraction test as part of your routine eye exam. This test is used to help determine the most accurate prescription you require. There are various instruments used for this, including automated and doctor-controlled equipment. A patient-directed method can also be used. Refraction tests are administered to diagnose eye conditions such as astigmatism, hyperopia or farsightedness, myopia or nearsightedness and presbyopia. Blind spots can be a symptom of an eye disease or an obstruction in the brain. Depending on their shape and size, blind spots can provide insight into the visual structures of your brain and optic nerve as well as your eye health in general. A visual fields test is conducted to detect blind spots. 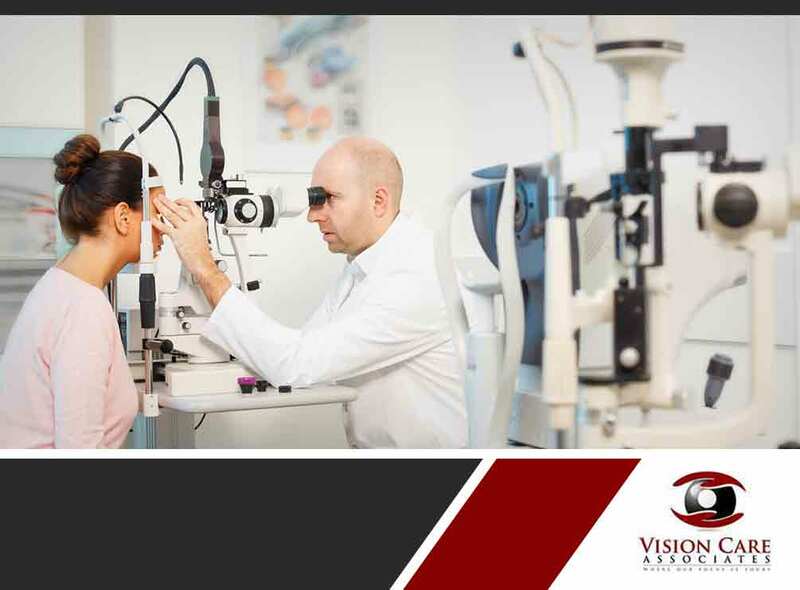 The test aims to measure the vertical and horizontal range of your field of vision. It also evaluates your vision sensitivity. Vision Care Associates takes pride in providing state of the art technology and eye care services, all with a personal touch. From complete eye health examinations to high-quality products, we make sure your visual health comes first. Call us today at (304) 315-6055 if you’re in Parkersburg or at (304) 808-1209 if you’re in Spencer, WV to schedule an appointment. We work with patients in Parkersburg, WV.